Happy Monday Everyone! Hope you had a great week. I have a good time with my mom. hundred year old evil is unleashed when souls of the daughters of those killed during the Salem Witch Trials find a new generation of people to murder at a popular modern-day bed and breakfast. 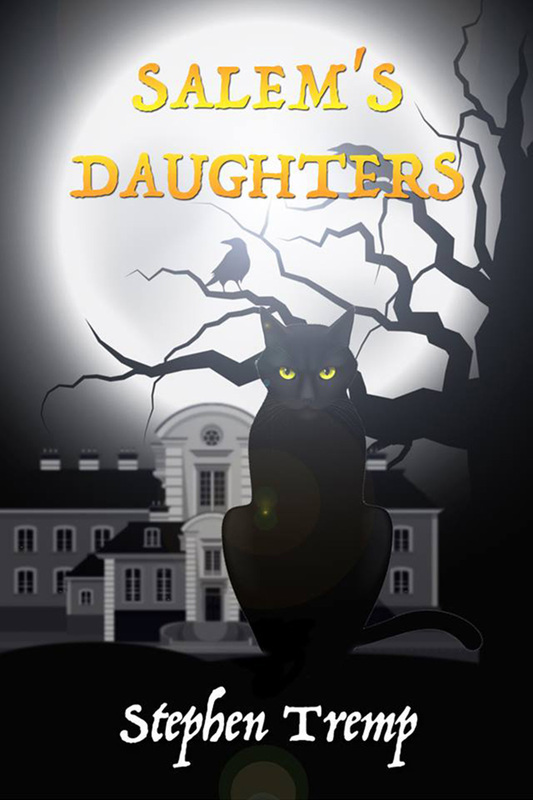 And here are a few links: For a full synopsis and to download a copy of Salem’s Daughters for $2.99. Click Here. The winner of THE BLACKTHORN KEY is Leandra Wallace! The winner of LOCK & MORI is Danielle H! And the winner of HOODO is S.P. Bowers! Congrats! E-mail me your address so I can have your book sent to you. Please e-mail me by the end of Wednesday or I'll have to pick another winner. 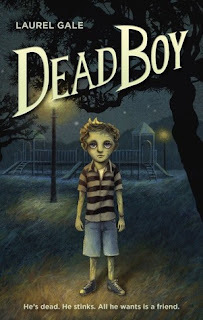 Today I’m excited to have debut author Laurel Gale here to share about her MG fantasy DEAD BOY that releases tomorrow. It sounds like something that will really appeal to boys too. Together they investigate the mysterious Meera - a monster living in the nearby park. Logic and fear tell Crow to stay away, but fuzzy memories lure him on. When Crow and Melody venture into its underground lair, Crow’s not just risking the half-life he clings to. He’s also risking the only friend he’s had in years. Hi Laurel! Thanks so much for joining us. I’ve always loved writing and reading. When I was a kid, I wrote (really bad) poetry and short stories. Later I got busy with college and then work and stopped writing fiction. One day, my husband suggested I try to write a novel. I dismissed the idea as silly, but a seed had been planted in my mind. A few months later, I became obsessed with the idea of becoming a novelist. After a little trial and error, I settled on children’s speculative fiction as my favorite thing to write. 2. That's awesome that your husband got you going on this. Where did you get the idea for DEAD BOY? The story started with Crow Darlingson, the main character. I imagined him as this lonely little dead boy who just wanted a friend. 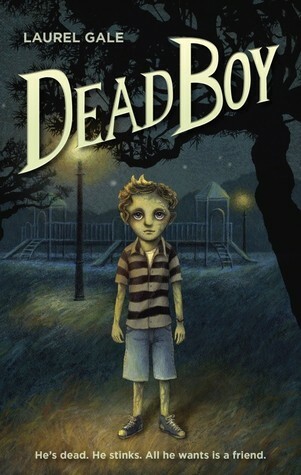 Normally, I like to write a synopsis before I start a novel, but with DEAD BOY, I kind of just developed it as I went. It was a lot of fun to write. 3. Your book takes place in contemporary times. Share why you decided on a contemporary time period and about your world building process. I enjoy all types of fantasy and science fiction, but I especially love fantasy that blends elements of reality with magic. I think it’s the idea that there could be a fairy lurking in my local park or a portal to another world hidden somewhere in my own home. I want this to be true! So I tend toward contemporary settings. A lot of my magic is inspired by myth and folklore, but I like to do my own thing with it, make the legends my own. 4. I want a fairy or portal too! Tell us about your main character, Crow, and how he grew as a character as your story developed. hopeful and sweet, and also clever and knowledgeable. One thing that deepened as I wrote and revised was my understanding of how his situation—being isolated for two years—would affect his childhood development. The other characters grew a lot as I wrote, and Crow’s relationships with them became more complicated. 5. It is easier when you start out with a vision of your main character. You write middle grade and YA. Do you find differences in your writing for these age groups? Right now, I’m focused on middle grade, but I enjoy young adult, too. I think there are a lot of differences between the two age groups, with some overlap. Middle grade can be dark, but it’s still innocent. To me, middle grade has this wide-eyed sense of adventure that’s just a ton of fun. Young adult still has the optimism and idealism of middle grade, but it allows for the gritty exploration of more mature themes, and there tends to be a lot of romance. 6. What was your road to publication like? Not as easy or fast as I would have liked! I wrote several novels before I wrote DEAD BOY. I kept churning them out, improving each time, until finally things fell into place. There was a lot of rejection along the way, but I always had the next project to keep me motivated. And once I signed with fabulous agent David Dunton, things moved really quickly. 7. That's such great advice to keep going with new projects. What have you learned about the year leading up to a debut book release from watching other debut authors go through the process? The year leading up to publication is really emotional and stressful. For so long, getting a book deal was the goal, but really it’s just the beginning. I joined a couple of debut groups (the Fearless Fifteeners and the Fall Fifteeners) and I think this was a smart decision. It’s great to have other debut authors to talk to about writing the next book, organizing events, and developing social media. 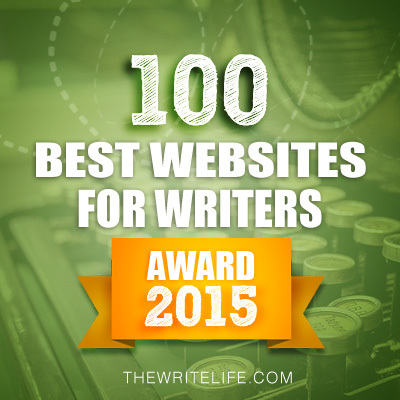 It’s especially helpful to be able to discuss some of the difficulties writers face. Because authors tend to broadcast only the positive developments in their writing career, it’s easy to think that everyone is doing better than you are. Being able to share the ups and downs makes a difference. 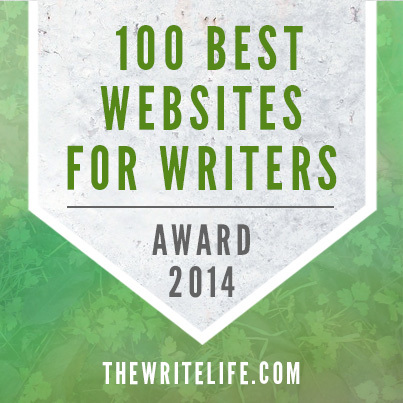 I’ve found the writing community to be incredibly supportive. 8. Yes, having other authors to talk about the hard parts of being an author would be really helpful. What are you working on now? I always have a few projects in the works. Right now, I’m focused on my next middle grade novel. I’ll post more details to my website when I can. Thanks for sharing all your advice, Laurel. 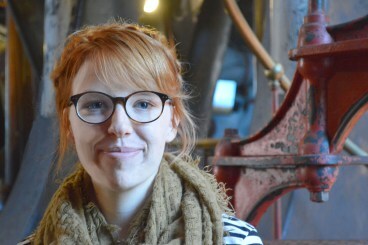 You can find Laurel at www.laurelgale.com and https://twitter.com/laurel_gale. Laurel has generously offered a copy of DEAD BOY for a giveaway. To enter, all you need to do is be a follower (just click the follow button if you’re not a follower) and leave a comment through October 10th. If your e-mail is not on your Google Profile, you must leave it in the comments to enter either contest. If you mention this contest on Twitter, Facebook, or your blog, mention this in the comments and I'll give you an extra entry. This is for U.S. and Canada. 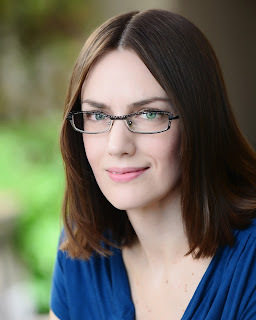 Next Monday I have an interview with debut author Jennifer Jenkins and a giveaway of her YA fantasy NAMELESS. Next Wednesday I have a guest post with debut author Kim Liggett and her agent Josh Adams with a query critique giveaway from Josh and a giveaway of Blood & Salt, Kim's YA fantasy. The following Monday I have a guest post by long-time follower and debut author Carol Riggs and a giveaway of her YA science fiction THE BODY INSTITUTE. Wednesday that week I'll be participating in the Spooktacular Book Giveaway Hop. Happy Monday Everyone! Hope you had a fantastic weekend. I'm on my way home from visiting my mom and will visit your blog later today. 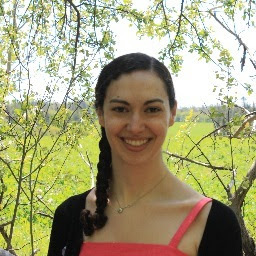 Today I'm excited to have a guest post with debut author Mackenzi Lee and her editor at Harper Collins, Laurel Symonds. Now here's Mackenzi and Laurel! FYI, the questions to Mackenzi are from me and then Mackenzi interviews Laurel. 1. What surprised you most about working with your editor and why? ML: Honestly, the most surprising thing about working with my editor, Laurel Symonds at Katherine Tegen Books, was that someone could love my book as much as I did! From our first call, I was so astonished by how much Laurel cared about my book. And, because this was my debut, it was doubly astonishing that a real life editor who worked in real life publishing liked an idea I once thought was too weird to write. Mostly up to this point it’s been nothing but rejection from people who know what they’re talking about. 2. It seems essential to have your editor love your book. What was a challenge you had working with your editor and what did you learn from it? for the book with someone else’s. I was really lucky in that Laurel and I were very on the same page from the beginning, and both of us had a very similar vision for This Monstrous Thing, where it should go, and how to make it better. Working with her was actually really easy and challenge free (and I’m not just saying that!) because of how well she understood the book and my objectives in writing it. 3. That's great Laurel and you had the same vision for your book. What advice do you have for other debut authors who may be starting to work with their editor? ML: I would tell other debut authors that they are allowed to fight for the things that are important to them and their manuscript. When I first started working with my agent, and later my editor, I didn’t know what I was allowed to stand up for choices I had made--I thought their word was law. That being said, I’d also advise them to be open to the possibility that someone might have a better idea for your story than you do. I’m constantly amazed by the things my critique partners, agent, and editor point out in my work and how their ideas can strengthen my work. Working with an editor is a weird combination of never assuming you know best, but also trusting your gut when it comes to knowing if something is right. If you are going to fight for something, make sure you have a darn good reason for it, and try and make it not a fight, but a conversation. Be sure you are hearing and open to other ideas. 4. Share about how you felt your story improved from working with your editor. ML: While we didn’t make a lot of big, overall changes to the book between acquisition and publication, Laurel’s advice helped me take a lot of things I was doing in the manuscript and hone them so they were done better. Her feedback helped me sharpen the book into something publishable. She also brought such a sincere enthusiasm and passion for my project that gave me confidence and excitement. 1. For Laurel, what first drew you to THIS MONSTROUS THING? What made you fall in love with it? LS: THIS MONSTROUS THING was my first acquisition, so it will always hold a special place in my heart. The acquisitions process was a whirlwind and very unusual. I had been looking for the right project to start my list with for a while, but the timing of the submission wasn't ideal; HarperCollins has just moved offices from Midtown to the Financial District so our tradition acquisitions meetings were on hiatus and it was during Book Expo America, so schedules were off. But I started reading TMT--on the subway during my commute, which is often where I read submissions--and I couldn't put it down. I read it piecemeal every chance I got between BEA meetings and events--and it kept me so riveted. I was initially drawn in by the genre itself, historical fantasy, but the longer I read I realized this was the whole package: brilliant concept, beautiful writing, really nuanced characters and relationships. It's the type of book where you get something different out of it on each read, which makes it very special. 2. As an editor, how do you know what book is The One and worth acquiring? LS: There is no magic formula for acquiring; it's incredibly subjective. It's partly about taste; for example, I was looking for a fantasy project when I received TMT. But it's also about timing, not just about what is working in the marketplace, but what each individual editor is personally looking for and what would provide a good balance for her list and the team's list. At the time I received TMT, I was looking for a teen title that explored sibling relationships--although I expected that project to be realistic fiction about sisters instead of historical fantasy about brothers! Editors always have to have their editorial minds open to new ideas and projects that they wouldn't expect because that is often where the magic is. 3. What is the acquisition process like at Katherine Tegen Books? LS: The acquisitions process at Katherine Tegen Books and HarperCollins Children's Books is lengthy. Although it can feel overly laborious at times, it ultimately feels right to me. When someone at KT Books finds a project they're really excited about we'll either share it with the entire team during a team editorial meeting or, depending on timing, share it directly with Katherine. If we get the go-ahead at that step, we'll bring the project to the HarperCollins Children's Books Acquisitions meeting, which is attended by editors and editorial directors from other imprints and groups, marketing, publicity, finance, and sales. With so many people offering feedback and opinions, the Acquisitions meeting can feel intimidating, but it's actually essential to the acquisitions process. If the group ultimately decides the project is right for KT Books/HarperCollins Children's Books after the input from the different departments, the editor can be confident that the project will have support from throughout the children's division down the road. And with that go-ahead, the editor makes a offer to the author's agent and hopes that it's accepted! 4. What character in THIS MONSTROUS THING are you most like/do you relate to the most? LS: This is such a great question because the characters in TMT are so wonderfully nuanced--and all of them have major flaws they must work through in the novel. If I had to choose one character, it would be Mary Godwin. In many ways, she is one of the most unlikable characters in the novel because her actions put Alasdair and Oliver in danger, but her actions stem from trying to process an event she has witnessed. So much of life is about putting together pieces, reflecting on past actions, and figuring out how to move forward, so I have to applaud Mary for doing that, despite her flawed methods. Besides, she's a writer and I have a soft spot for those. 5. What is the publishing process like for an editor? We hear a lot about it from the author's point of view, but what is an editor's experience? Do you go through the same ups and downs? LS: The publishing process is glorious, messy, rewarding, heartbreaking, and much, much more. There are ups and downs on a daily basis, for an individual title, and for an author's career within a publishing house. Just like an author, it's important for editors to maintain a healthy perspective. When I get to work with incredibly talented authors, see their books in bookstores, and know the books have reached the hands of readers--that's everything. Mackenzi has generously offered an ARC of THIS MONSTROUS THING for a giveaway. To enter, all you need to do is be a follower (just click the follow button if you’re not a follower) and leave a comment through October 3rd. If your e-mail is not on your Google Profile, you must leave it in the comments to enter either contest. On Monday I have a guest post by debut author Laurel Gale and a giveaway of her MG fantasy DEAD BOY. Today I’m thrilled to have agent Moe Ferrara here. Moe is a literary agent and subsidiary rights director at BookEnds, LLC . She’s building her middle grade and young adult author list – and also looking for a few adult projects as well. Hi Moe! Thanks so much for joining us. It’s a very long and winding story, actually! But the short version is that I started life out as a music major who, due to a shoulder injury, couldn’t play in a pit orchestra like I wanted to. After a good friend of mine (who is a Federal judge) said I’d make a great lawyer so suggested I go to law school… I did just that. Being an attorney wasn’t in the cards for me as I wasn’t a fan of the law firm environment, so I looked into alternative legal careers. I fell in love with contracts and Intellectual Property law… then a class in my Entertainment law course showed me how I could combine those interests with a love of books and become a literary agent. After graduating from law school, I set out to do just that. I worked my way up through the ranks, starting at a scouting agency… and now here I am! 2. I can't believe how many lawyers get into the writing profession. Me too working for a web marketing firm writing legal articles. What are you looking for in YA submissions? Are there any genres you aren’t interested in? I wouldn’t say there’s any genre specifically I’m not looking at because even though my love is SciFi and Fantasy… the first book I signed was a YA Contemporary! It’s going to all come down to voice and the right author showing me something that I didn’t even know I wanted. However, the one thing you will never convince me I want… are vampires. Sorry! Otherwise the only other thing I’m not a huge fan of are “sicklit” books. They’re not my cup of tea. Something I will always love and want more of – are retellings. Be they mythology, classic literature (JANE EYRE! ), or fairy tales… I love them. 3. That's good to know what you really don't want. And for MG, what are you looking for? Anything you wouldn’t be interested in representing? I’m very much looking for an Indiana Jones-esque adventure novel. I love things where the kids do something and totally screw up and OMG must fix before mom and dad get home! I’m very much looking for humor in my middle grade, with a voice that kids will love… and the parents will too! I’m not looking for the big issues book for middle grade, however. I like my MG to be light-hearted, action-packed, and full of kids trying to get themselves out of one big, giant mess! 4. Sounds like you like fun MG books. I love the last line of what you're looking for. Your profile says you are interested in science fiction and fantasy. Is there anything you would be especially excited to seeing in these genres? Though it can be a harder sell, I still love my Fae – so someone with a unique twist on them will have my heart forever. I love getting romantic elements into my SciFi and Fantasy – think the FEVER series by Karen Marie Moning. For SciFi, I don’t like HARD SCIFI… more along the lines of Star Trek or Doctor Who or space operas. For Fantasy… pretty much anything goes. I’m a bit pickier when it comes to Epic Fantasy, but really, I’ll look at anything. And yes, I’m well aware that doesn’t narrow things down for any of you! 5. That's great how open you are in these genres. I read that you are an editorial agent. What is your process like when you’re working with your authors before submitting to editors? After someone signs with me, we’ll do a couple rounds of edits, depending on what the book needs. The first round is usually me giving notes on the big, over-arching things I’ve seen that are problematic or need fixed. Things like plot elements that don’t work or where characters fall flat or what’s confusing for me world building-wise since I don’t have this world in my head… my author does! Once those revisions are completed, then I’ll go through the manuscript with comments throughout of where things do or don’t work. Then, if we’re both satisfied with the manuscript… it’s time to go out on submission. 6. Do you have any specific dislikes in query letters or the first pages submitted to you? And what’s your response time to queries and requests for more pages of a manuscript? A major dislike is when I can tell I’ve been BCC’d on a query that probably went out to about 50+ agents at the same time. When it comes to personalizing, I like it when people take the time to do just that… without it sounding stalker-ish. “I saw when you posted on twitter thirteen hours ago that…” My response time, right now, is a bit slower than I’d like… simply because I got inundated with more queries than I ever expected as a “new agent”. I’m working my way through as fast as I can, but I can promise that everyone who ever queries me will always get a response one way or another. I try to keep folks updated via twitter as to where I’m at in my query pile. 7. That would be annoying to get a query via a blind cc. Are you open to representing authors who have self-published or been published by smaller presses? What advice do you have for them if they want to try to find an agent to represent them? I’m definitely open to authors who have self-pubbed or published with smaller presses, but I’d rather see you query me with something new as opposed to sending me what is already out there. As for advice? If you’ve self-pubbed, please make sure your work is polished and as high quality as it can be. Hire a cover artist (or look for folks who do stock cover art you can purchase) and make sure it’s professionally edited. People google, and you don’t want to have anything that’s sub-par out that could negatively impact you… both in an editor’s mind and future readers’ minds! For smaller presses, the most important thing is DO YOUR RESEARCH. Some presses are very scary and run by people who don’t know the industry and prey on authors who are hungry for that first publishing deal. So do your due diligence and make sure you know who you’re signing with. 8. It's really good to see you (and other agents) open to a self-published author's new projects. With all the changes in publishing—self-publishing, hybrid authors, more small publishers—do you see the role of agents changing at all? Why? Definitely – I think we’re now even more important for authors because we can help to see the big picture. What books would be better self-pub’d vs which should go out on submission. Which books must go to the publisher to make sure the author doesn’t violate an option clause. We’ve always been in charge of helping to craft an author’s career but with so many different options available to authors – now we’re here to make sure everyone is making the right and most informed choice about where your words appear! 9. That sounds like an exciting partnership. What new MG and YA books that were recently released or coming out soon are you especially excited about? One of the books I was lucky enough to get an ARC of (and a hard cover one no less) is ILLUMINAE by Aime Kaufman and Jay Kristoff. It’s an alternative storytelling book using emails and all sorts of graphic design elements. It’s gorgeous and engrossing and I couldn’t put it down. In the (sorta) recently pub’d category (March is still recent right?) is FLUNKED by Jen Calonita. I’m all about retellings and this one is about reforming the villains! Thanks for sharing all your advice, Moe. You can find Moe at @inthesestones on Twitter! Moe is generously offering a query critique to one lucky winner. To enter, all you need to do is be a follower (just click the follower button if you're not a follower and leave a comment through October 3rd. If your e-mail is not on your Google Profile, you must leave it in the comments to enter either contest. If you do not want to enter the contest, that's okay. Just let me know in the comments. 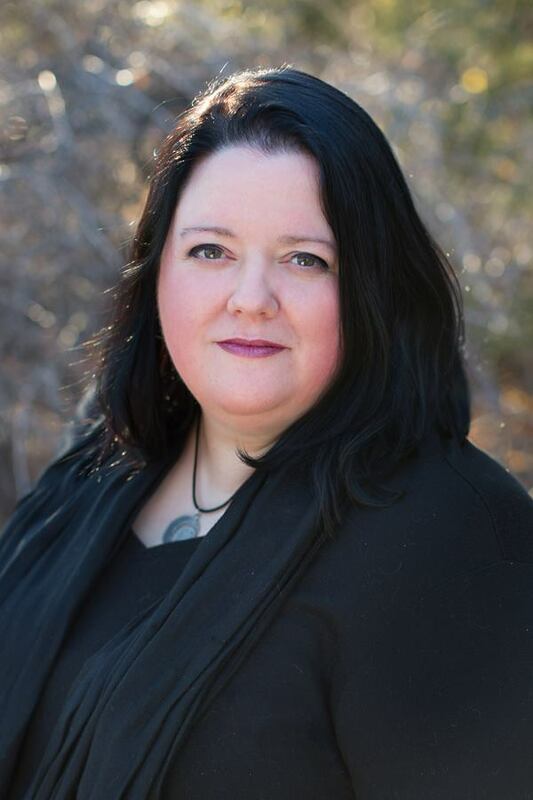 On Monday I have a guest post by debut author Lee Mackenzi and her editor Laurel Symons at Harper Collins and a giveaway of her YA steampunk THIS MONSTROUS THING. FYI, I may be visiting your blog later in the day on Monday because I will be coming home from a trip and need to work first. The following Monday I have a guest post by debut author Laurel Gale and a giveaway of her MG fantasy DEAD BOY. Wednesday that week I have a guest post by J. Scott Savage and a giveaway of his MG steampunk fantasy FIRES OF INVENTION. Happy Monday Everyone! Hope you had a great weekend. I just want to give you the heads up about next Monday. I'll be here blogging and will stop your blogs too. It just may be a little later as I'll be coming back from a short trip to Florida to see my mom. Today I’m excited to have debut author Heather Petty here to share about her debut mystery LOCK & MORI that releases tomorrow. I’m just getting back into reading mysteries, so it’s on my fall TBR list. Hi Heather! Thanks so much for joining us. I was always a huge reader, but I never thought about becoming a writer until my high school English teacher, Author Terri Farley (Phantom Stallion series) read an assignment I'd turned in and basically told me I needed to be writing. So, I joined the school paper. Then, in college, when I was kind of over the Journalism thing, I applied for a fiction writing class with Author Susan Palwick, who later taught me one-on-one. She really helped me find my niche as a kidlit writer. I joined SCBWI shortly after I graduated, and my very first critique (of a really horrible middle grade book) at a conference was from Ellen Hopkins, whose debut novel CRANK was coming out later that year (2004). (Crazy, right?) She was very patient with my rookie writer ways and encouraged me to keep going. But I had a baby the next year and floundered for a bit with my writing until Author Cynthia Cotten read one of my silly LiveJournal posts one night and told me I should be writing YA. 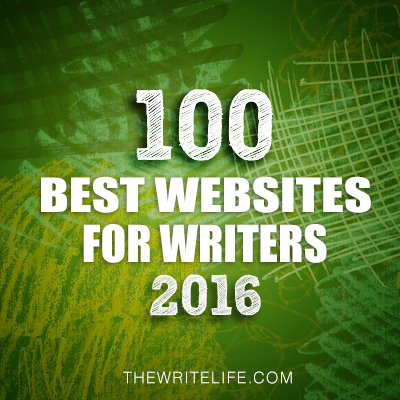 She pointed me in the direction of authors like Melissa Marr, Charles de Lint, and Holly Black. I was especially taken by Holly Black's Tithe series, and started writing my own YA within days of reading VALIANT. 2. I had one of those rookie critiques too. Where did you get the idea for your story? I read an article on nemesis relationships, where the writer mentioned offhand that everything we know about Moriarty is what Sherlock tells us, as he's the only one who meets Moriarty in the canon. That, to me, was a super delicious gap in the story that was begging to be filled. Pretty much any time I can ask the question "What if?" I get super excited. In this instance, I thought, what if Sherlock lied to Watson for some reason? What if he'd known Moriarty since they were kids? What if something that happened when they were kids is why they're rivals as adults? The story kind of spiraled out from there. 3. I read that you’ve loved mysteries since you were a child. What are some of the elements of a good mystery and what tips do you have for the rest of us in plotting out our tips and twists? weirdos who has, at different times in my life, been a fan of almost every type. My favorites tend to either be that golden age style whodunit, where the shown violence is minimal and the detective gathers everyone to reveal the killer in the end, or the more character-centered psychological mystery, where it’s more about the why than about the who. But I love gothic elements. I love when there’s a little romance woven in. Most of all, I prefer magic, paranormal, and supernatural elements blended into mysteries and for my villains to be multi-faceted and tragic. As to advice, it’s probably almost cliché by now, but the best advice for any writer is to READ. A lot. But read with the eye of a writer. Find your favorite mysteries and thrillers and re-read them, looking for how the author manipulated her clues and distractions and red herrings, how she developed her puzzles and placed her reveals. I should warn here that once you start looking at mysteries through a writer lens, it kind of kills them for you. It can be hard to go back. 4. I like those kind of mysteries too. Your book is set in London. Have you been there before? What research did you do in developing your story? I usually develop the story and then fill in the details with research. Thankfully, due to my love of all things English and mystery/crime drama, I knew more than I realized I did about English law and police procedure, which meant I didn’t have to make too many changes to how I wanted the story to go because of research. But, as it always is with research for a book, it was fascinating to learn more about modern London and serial killers and then to apply all of that to my version of these well-known characters to bring them into the now. The best feeling of all is when you find out something through your research that reinforces what you’ve already written or fits perfectly into where you wanted to go with your narrative. And that happened a lot for me writing this book. 5. That would be awesome when you find research that supports what you've written. Share a challenge you had in writing LOCK & MORI and what you learned in working through it. The biggest challenges I had writing this book were mostly emotional. I had written maybe sixty or seventy pages about a girl whose mom had died of cancer when we found out my mom had cancer. My mother passed away six weeks later. When I could write again, I was left raw and lost and trying to figure out whether or not I wanted to change Mori’s story or face down my own grief as I wrote hers. I’m not sure how to articulate what I learned working through this story, maybe because I’m not done learning it yet. This series will probably always be somehow attached to what happened with my mom and that time period of my life. So, a challenge for sure, but in a good way, because telling these kinds of stories can be very healing. 6. Oh, that's such a sad story. I'm sure it was very emotional writing this. What have you learned about writing from working with your editor? Has it changed anything about the way you write? I really feel so lucky to work with Christian Trimmer. He’s brilliant and kind, which is a great mix for an editor. Receiving one of his edit letters is always like being called out on all your missteps, but in the most gentle way possible. I really feel like he believes in my ability to make things work, which is very encouraging—and you need that when you’re ripping apart that thing you just spent months and months creating. That said, I think you learn a lot about your work every time you put it into the hands of someone you trust to help you make it better. And those lessons kind of sit in your mind as you work on the next thing. The greatest hope is that every book you put out will be better than the last one. I’m definitely hoping that for this series. 7. Your agent is Laurie McLean. How did she become your agent and what was your road to publication like? I had two agents retire from publishing on me while I was writing LOCK & MORI. So, when I was done, I was faced with going through the query process again, which was exhausting just to think about. I sent queries out to a few agents who I thought might be a good fit, and whined about it a lot to my friends—one of whom had just started working with Laurie as an associate agent to learn the ropes. She had read a draft of the book and knew Laurie was a huge Sherlock fan and asked if she could pass the manuscript onto her. I said yes and Laurie called me the next day saying she loved it and wanted to offer representation. She left for New York a few weeks after I accepted her offer and pitched the book to editors in person. She got a lot of interest and managed to get our first offer in just five days, which is amazing! 8. So glad it worked out easily with Laurie after having two agents retire. You’re one of the Fearless Fifteeners, a group of 2015 debut authors. What have you learned from other authors whose books have already come out about the debut process? Has it influenced your own marketing idea? There’s no way I could list all of the stuff I’ve learned from the other Fifteeners. It’s seriously an amazing group of people, and I feel just completely blessed to be a tiny part of that group. Better than the networking/learning part of it, though, being in a group like that is really good for the writer-soul. We all have our bad days—I sometimes flirt with the idea of selling everything I own and moving to the forest to become a hermit lady who writes poetry about the evil of birds, for example. But getting to commiserate with people over the scary/sad parts of publishing and to celebrate each other’s successes is vital to survive the ups and downs of being a debut author. My favorite is when I’m having a growly day and then something amazing happens to another of the Fifteeners authors. It’s hard to stay in a funk when you feel so much joy for someone else. Most of all, though I think we’d all agree that even when things seem bleak, it’s so incredibly awesome to hold our finished books in our hands for the first time. That’s the dream. And it’s happening to all of us this year. 9. That's great how you support each other. What are you working on now? I am now editing Lock & Mori book 2! So lots of coffee and angsting in my future. Heather has generously offered an ARC of LOCK & MORI for a giveaway. To enter, all you need to do is be a follower (just click the follow button if you’re not a follower) and leave a comment through September 26th. If your e-mail is not on your Google Profile, you must leave it in the comments to enter either contest. If you mention this contest on Twitter, Facebook, or your blog, mention this in the comments and I'll give you an extra entry. This is for U.S.and Canada. 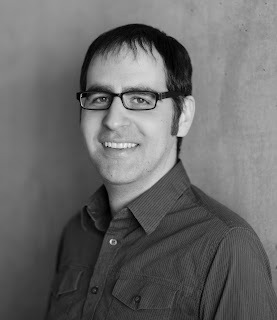 On Wednesday I have an interview with agent Moe Ferrara and a query critique giveaway. 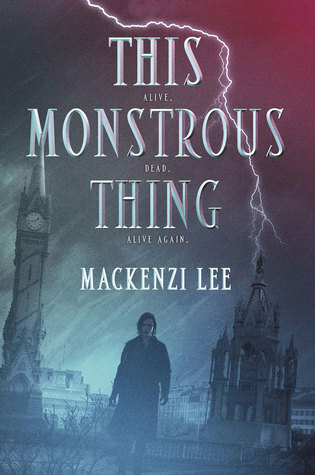 Next Monday I have a guest post by debut author Lee Mackenzi and a giveaway of her YA steampunk THIS MONSTROUS THING. Happy Wednesday Everyone! Hope you had a great holiday weekend. I am happy to report that I have done well my first few days with Anna Li at college and living alone. The house definitely feels different, and I'm grateful I still have my sweet dog with me. I keep telling myself that I can do this. And I know I can. Today I’m excited to have debut author Kevin Sands here to share about his MG historical THE BLACKTHORN KEY that was recently released. I’m looking forward to reading it because it also has all the elements of fantasy I love. Hi Kevin! Thanks so much for joining us. It’s been a long, strange path. Though I’ve been an avid reader since before I can remember, I never had any interest in writing when I was younger. In fact, if you’d have told me that I’d end up a novelist, I’d have thought you’d lost your mind! Instead, I studied math and physics in university. It wasn’t until later in life that a friend of mine that first got me interested in telling stories of my own. I started with screenplays, but I didn’t take it seriously enough at the time, so nothing ever came of that. It wasn’t until later, after I really buckled down and got to work, that I started writing novels and finally realized that this was what I wanted to do. 2. I'm like you. I never thought I'd like to write. Where did you get the idea for THE BLACKTHORN KEY? At the time, I was close to finishing a different manuscript, and it occurred to me that I didn’t really have a good idea for what to work on next, so I sat down and tried to come up with possible stories. Among others, I had this thought: Apothecaries are pretty cool. They work with potions, poisons, secret codes, and so on; it’s kind of a rich world that offers a lot of opportunity. So I thought I’d write about an apothecary’s apprentice, and maybe have some secret that people were willing to kill for. Beyond that, I didn’t really know what elements were going to go in the story. I just sort of sat on that idea while working on other manuscripts until a couple years later when I was looking for something new to do and dusted it off. Most of the plot elements then came while doing the research for the book. 3. I love that your story is about potions and medicines, some of my favorites things in fantasy. Did you do any research into them or other parts of your world building? Share a bit about the world you created in your story. Many weeks of research went into developing the book. Before I started, I wasn’t sure what I wanted the story to be: historical, fantasy, or a blend? So I started by researching different time periods, while simultaneously learning about apothecaries. I narrowed the time down to London in the 1660s pretty quickly. Largely, this was because Restoration London was such a rich time for storytelling: the return of Charles II to the throne after the fall of Cromwell’s Commonwealth, the conflicts, plots, and conspiracies, the level of technology, the liveliness of the city, and so on basically made it too good a time to pass up. As an added bonus, we have lots of detail of that time from primary sources like Samuel Pepys’ diary, so I felt I could draw on that research to help bring the time period to life. 4. Sounds like it was fun research. People always talk about the importance of a character’s middle grade voice and getting it right as a writer. Did Christopher’s voice come easy or hard to you? from the start. Bringing it to life was a different matter! I struggled with this in the early drafts, so I did what I always do when I’m stuck on some element of craft: read other novels that do it well and see what I can learn. From those, I realized how I could make Christopher express himself better, and the next draft was transformed. Learning that, I think, put the last needed part of the manuscript into place. 5. That's what I like to do too when I get stuck. Did you plot out THE BLACKTHORN KEY or did you create the storyline as you went? Having you made any changes to your plotting process from writing this book? I plot everything—and I mean everything—in as much detail as possible. Before I even think about writing a single word, I figure out not just the scenes themselves, but how they’re put together. Literally every event, clue, character attribute, etc. gets noted in a giant list of bullet points several pages long before I start. That then becomes the document I work off of while writing the first draft. I do alter things when I realize they’re necessary, and of course later drafts may require changes, but by and large the story I plotted remains the same. I’d say about 95% of the final draft of The Blackthorn Key was the same, structurally, as my original notes. I barely plotted at all back when I started trying to write, because I was impatient to simply get into the story. That was a mistake; I’d end up about two-thirds of the way through with an absolute mess. It wasn’t until I changed into a detailed plotter that my stories actually started coming together. Now I wouldn’t work any other way. 6. Share something you learned from working with your editor. What tips do you have for the rest of us on working with editors? I think my editor has given me a better sense of recognizing that elements that don’t currently work in the manuscript can be made to work. Like many authors, I tend to be a harsh critic of my own writing, so there have been a number of times where I’ve just discarded ideas—or entire manuscripts—because I felt they weren’t up to snuff. My editor’s much more measured, and like all the best editors, has a great sense of what a manuscript could be, and how best to get it there. As for tips for working with editors, the biggest one I can give is to make sure you sign with an editor who shares your sensibilities as a creator, while still having the skill and drive to make you better as a writer. Anyone who gets an offer should make sure they have a conversation with that editor and ask point blank what changes that editor believes the manuscript needs. From there, you really want to make sure you’re on board with whatever changes the editor wants. It’s true that you don’t necessarily have to make those changes, but if you’re having disagreements from the start, that doesn’t bode well. 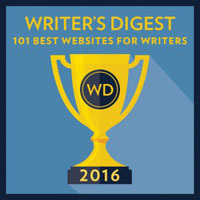 It might be the hardest thing in the world to leave an offer on the table and try your luck somewhere else, but an editor you’re going to clash with all the time is not likely to help you produce your best work—and remember that it’s neither of you, but the reader, who will be the ultimate judge. On your end, of course, it’s always worth your while to really listen to what any editor has to say, and consider their suggestions seriously before disagreeing. As authors, we’re typically the worst judges of our own work, so it’s best to take advantage of the valuable advice editors have to offer. 7. Yes, it is important to start out thinking your editor and you can work together. What was your road to publication like? Pretty typical, I think. I might be a bit unusual in that I didn’t have any interest at all in writing when I was younger; I came to it later in life. Otherwise, like most people, I started out by writing terrible manuscripts and learning how to improve them. I tried to get one manuscript published before I wrote The Blackthorn Key, but it didn’t have any takers. I sent small batches of queries to agents (6-10 at a time) and waited for responses before moving on to the next batch. That manuscript was rejected by well over a hundred agents over the next two years before I finally gave up on it. In the meantime, I worked on other books. The Blackthorn Key was the next manuscript I wrote that I thought might have a shot. This time, I wasn’t willing to wait; I sent it out to more than seventy agents at once. I got a much better response with this one; it took three weeks to get the first offer of representation. After five weeks, I had four offers, and chose my agent from among them. He suggested a few minor changes, mostly adding some backstory, then submitted the manuscript to publishers a couple months later. From there we had a lot of interest, and I ended up signing with Aladdin, an imprint of Simon & Schuster, for North American rights. Puffin UK got the UK rights, and there are twelve translations in the works so far. 8. Most people would say it isn't good to send so many queries at once. Glad it worked so well for you the second time. You live in Toronto. Are you facing any challenges in getting the word out about your book in the United States? None at all. My North American publisher is American, so they’re promoting the book in all markets. In fact, they’ve already brought me down twice to the U.S. for promotional events, and I have a U.S. tour and several more appearances planned for after the book’s released. Even if that wasn’t the case, I don’t think where you live matters all that much anymore when it comes to marketing and publicity. For the traditionally published, it’s mostly about who your publisher is, and what kind of reach they have (plus the size of their budget). Most of this stuff is done from afar anyway, and with the internet, it’s easier than ever to connect with potential readers. 9. Awesome how supportive your editor is. What are you working on now? The sequel to The Blackthorn Key! The first book ends right before the summer of 1665, which is when the Great Plague of London decimates the city. We’ll rejoin Christopher during the worst part of this epidemic, where he finds himself embroiled in a new mystery. There’ll be more codes to decipher, more potions to make, and more traps to set—and avoid! Plus, we’ll see some old friends, and meet a new enemy. As for who those are, you’ll have to wait and see! Thanks for all your advice, Kevin. You can find Kevin on Twitter at @kevinsandsbooks, on Facebook at facebook.com/kevinsandsbooks, or at his website, kevinsandsbooks.com. 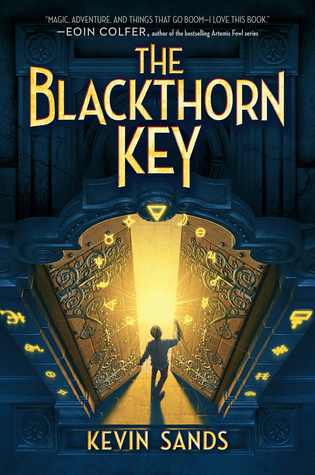 Kevin's publisher, Aladdin, generously offered a copy of THE BLACKTHORN KEY for a giveaway. To enter, you need to do is be a follower (just click the follow button if you’re not a follower) and leave a comment through September 26th. If your e-mail is not on your Google Profile, you must leave it in the comments to enter either contest. Next Monday I have an interview with debut author Heather Petty and a giveaway of her YA mystery LOCK & MORI . 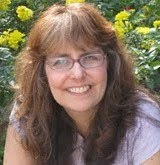 Wednesday next week I have an interview with agent Moe Ferrara and a query critique giveaway. The following Monday I have a guest post by debut author Lee Mackenzi and a giveaway of her YA steampunk THIS MONSTROUS THING. Happy Wednesday Everyone! I hope you had a fantastic August. Mine was pretty quiet. I worked on my blog schedule for the beginning of next worked, worked at my job (thankfully with more work), and helped Anna Li get ready for college. Tomorrow at 9:00 am is our big day where we move her in, and I start my new adventure living alone. At least she'll still be in town, and we're planning to see each other. I'm so grateful for that. I'm glad I have good friends like you all to help me through the process. 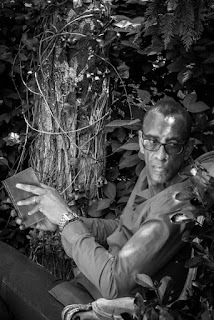 Today I have debut author Ronald Smith here with a guest post and a giveaway of his MG Historical Southern Gothic HOODO that sounds fantastic. 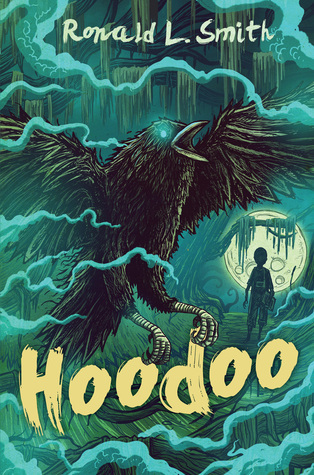 By the time this article posts, my debut middle grade novel, HOODOO, will be out in the world. Actually, it’s not a wow feeling. It’s more like a numb one. As I was trying to come up with ideas for this post, I thought back to what I most wanted to know when I was searching for an agent and hoping for the Elusive Book Deal. I was obsessed with finding out how long it took debut authors to get an agent and a deal. Or, how long it took from the time they got an agent to sell their book. I really struggled with deciding whether to share this information or not. But in the end, I’m going to do it because hopefully, those of you still in the trenches will get an inside look at how things happen. There’s not a whole lot of info out there about being on submission. You’ve heard before that no two stories are alike, and this is no exception. Queried Adriann Ranta at Wolf Literary with HOODOO, a middle grade southern gothic fantasy novel. Adriann writes back, saying she enjoyed the ms., but had a few issues with it. She went on to explain what they were, and invited me to revise and send again, if I wished. Took a class led by YA Author Nova Ren Suma. She’s a great writer and teacher. Read her! Or take one of her classes. I was also doing real life stuff during this time so it wasn't just spent doing revisions. DO NOT RUSH IF AN AGENT ASKS YOU TO REVISE! Email from Adriann saying she loved the revision and wants to speak on phone. Offer of Representation on phone! I told her a few other agents were looking at the ms and I should let them know about the offer. I did. After contacting them, I knew that Adriann and Wolf Literary would be a good fit for me. A week or so later I contacted her and said Yes! She sent me the contract and I became a writer with an agent! Of course, when I told non-writing people this (what I call civilians) they had no idea how awesome this was. I think a lot of people think you “type-up” a book, put it in the mail to Random House (with a check so they can publish it) and then watch it appear in bookstores. And then they ask when it’ll become a movie. Since my seven-month revision was extensive, HOODOO didn't need a lot more work. Just a few small tweaks. We felt good about the ms around October of 2013, but decided to wait until the New Year because of the holidays. At this time I was still working as a writer in the advertising industry. I had to record a radio spot and decided to do it in New York, because there was a studio there I really liked. And, um, an agent I just happened to know. After the session, I was able to meet up with Adriann. We met, and she was awesome in-person. Easy to talk to. She shows me the submission list. Holy Cow! It’s an impressive list. I take the train home feeling great because train-car bourbon. I search everything on the web about submissions even though everyone says not to. Adriann says be prepared to wait at least a month for responses. Adriann Ranta’s name comes up. Adriann calls and says I should come to NYC so we can meet up with editors. I pretty much fall out at this point. I travel to New York to meet up with Adriann and visit publishing houses. It’s one of the coldest days of the year, and we’re both freezing our asses off as we walk and cab it around the city. This is all pretty much a blur, whether from the cold or the fact that I was visiting publishing houses I’ve known about since I was a kid. I mean, who am I to be standing in these austere offices where famous authors made their names? So, a few days later Adriann says we are going to auction. I guess she just thought I knew this but I didn't really believe it until she said it. One house dropped out because they wanted significant changes and Adriann and I didn’t agree with them. God, it was tough. Never thought I'd be in such a position. I accepted an offer from Clarion/Houghton Mifflin Harcourt. 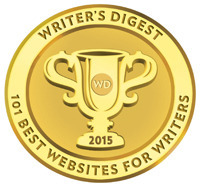 I really liked the editor’s vision and thoughts on my writing career. We accepted a two-book deal. The other book, THE MESMERIST, is a MG fantasy/horror set in 19th century London. Time from submission to accepting offer: 19 days. I can't believe it happened to me but it did. I won't ever forget how lucky I've been in this process. Every day, I try to stop and realize how fortunate I am. I left my job in advertising and now I write full-time. The moral of this story is to save all your emails. Of course, now the hard work begins: continuing to write good books, marketing, promotion, doing the work of an author. How come that author got their book optioned for film and TV? Will I sell foreign rights? It never ends. It just becomes…different. So, I hope this gives you some inspiration if you’re still in the trenches. It can happen to you, too. Ronald has generously offered a copy of HOODO for a giveaway. To enter, you need to do is be a follower (just click the follow button if you’re not a follower) and leave a comment through September 19th. I'll announce the winner on September 28th as I'll be out of town the weekend before. If your e-mail is not on your Google Profile, you must leave it in the comments to enter either contest. Next Wednesday I have an interview with debut author Kevin Sands and a giveway of his MG historical THE BLACKTHORN KEY. 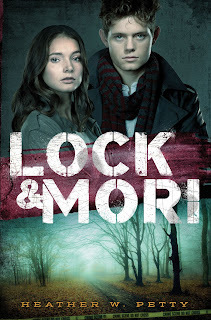 The following Monday I have an interview with debut author Heather Petty and a giveaway of her YA mystery LOCK & MORI . Wednesday that week I have an interview with agent Moe Ferrara and a query critique giveaway. Have a great Labor Day weekend and see you next Monday!